The Royal College of General Practitioners has built its own back-up datacentre using a private cloud architecture, rather than use an external provider. 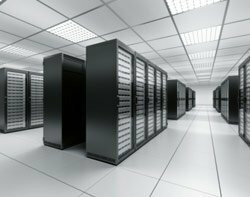 While the current thinking on datacentres is to using cloud services or hosting for a back-up site, the Royal College of General Practitioners (RCGP) is running its own back-up datacentre, which operates as a "dark" site that goes online when the primary site fails. After running forecasts of the costs of hosting, Andy Smith, head of IT at the college, determined that the RCGP would be better off running the back-up datacentre itself. "My five-year forecast showed we would yield a better return on investment if we did it ourselves because we have a rapidly changing environment," he said. While some organisations choose to run their back-up datacentres in a public cloud, the RCGP needed to maintain ISO 27001 accreditation. "[With a public cloud], I could not guarantee where my data would live," said Smith. Smith has led an overhaul of IT at the RCGP, encompassing what he describes as a robust disaster recovery plan and simplifying IT support across 22 regional offices. "We needed to look at the scalability for our storage because every time you run out of space you tend to buy more storage." The college is using HP DL servers running VMware, fibre channel storage using NetApps, and Cisco for networking. Back-up is provided by Dot Hill using Sata drives. NetApps specialist Vohkus implemented the system, comprising NetApp storage and disaster recovery, with VMware software. This created what Smith and his team characterise as "going from a passive to highly proactive IT structure that's resilient and highly available". Vohkus installed two NetApp FAS2040 systems located in two datacentres, using Snapmirror to replicate between them. The new infrastructure has supported the organisation's growth. "Two years ago we were struggling [to support] 36 physical servers. We now have 100 [virtual servers] on 16 physical boxes," Smith said.